Huh, I wouldn’t have guessed. The descriptions I was finding online didn’t make it sound all that appealing, or I would have joined in the trip to Denver. Proportionate to its relative size, merit and lack of hype, it’s possible that this was the most overlooked movie of 2006, even more than The Fountain. Hopefully it gets a broad DVD release, because it’s important for us all to remember what a good movie looks like when it isn’t a huge blockbuster with lots of marketing muscle. For my money, just as worthwhile as, say, The Prestige. 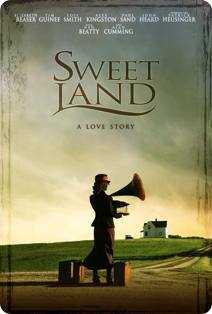 Pingback: Exploding Goldfish Films » Blog Archive » Sweet Land showing at the lyric starting TODAY!